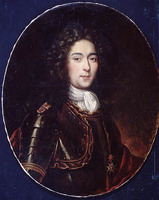 LEGARDEUR DE REPENTIGNY, JEAN-BAPTISTE (also Legardeur d’Arpentigny), esquire, midshipman, councillor in the Conseil Souverain, son of Pierre Legardeur* de Repentigny and Marie Favery; b. 1632 at Thury-Harcourt in the province of Normandy; d. 9 Sept. 1709 at Montreal. Legardeur arrived in Canada in 1636 with his parents. 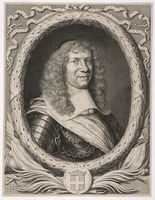 At an early age he was associated with the fur trade, and in 1660 was accused by Jean Peronne* Dumesnil of having killed Dumesnil’s son Michel by a kick full in the face, following a dispute over the bartering of furs for alcohol. There was, however, no sequel to this accusation, which, well founded or otherwise, seems to have had no influence on his career. Indeed, on 6 Oct. 1663 he was elected the first mayor of Quebec, although he occupied this office for only one month, because the Conseil Souverain considered it unnecessary. On 2 May 1670 he received from his mother the seigneury of Repentigny, which the Compagnie de la Nouvelle-France had granted to her husband in 1647. AJM, Greffe de Claude Mangue, 21 sept. 1679. 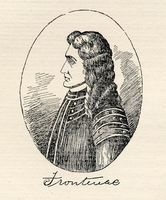 “Correspondance de Frontenac (1689–1699) “ APQ Rapport, 1927–28, 85. Jug. et délib. Recensment du Canada, 1666 (APQ Rapport). P.-G. Roy, “Ce que Callières pensait de nos officiers,” 326; Inv. concessions, I, 62; II, III, 26. Ivanhoë Caron, “Les censitaires du côteau Sainte-Geneviève (banlieue de Québec) de 1636 à 1800,” BRH, XXVII (1921), 98. P.-G. Roy, “La famille Legardeur de Repentigny,” BRH, LIII (1947), 195–98. 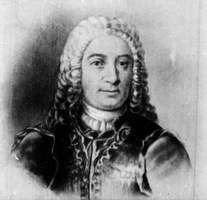 Robert Lahaise, “LEGARDEUR DE REPENTIGNY, JEAN-BAPTISTE,” in Dictionary of Canadian Biography, vol. 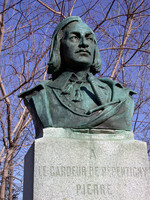 2, University of Toronto/Université Laval, 2003–, accessed April 24, 2019, http://www.biographi.ca/en/bio/legardeur_de_repentigny_jean_baptiste_2E.html.